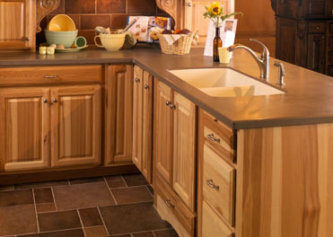 Specializing in countertops, granite, kitchen countertops, marble & granite products. Granite is one of the most popular building materials and has been used for thousands of years in both interior and exterior applications. Indoors, polished granite slabs and tiles are used in countertops, tile floors, stair treads and many other design elements. Granite is a prestige material, used in projects to produce impressions of elegance and quality. Granite is one of the hardest stones available. Quartz countertops are the new worry-free alternative to granite. They are stronger than granite, require no resealing, are highly resistant to scratches and stains, and come in a huge variety of colors. Marble is used to create an aura of elegance and class. Countertops of this material, with its delicate coloring and polished surface, can lend prestige and stature to a business. A polished marble surface on an island or bar countertop is stunning. Engineered stone kitchen counter tops are becoming a very popular choice in today’s kitchen and provide many advantages. Firstly, they are very strong and durable which is often an important consideration in many kitchens. They are also easy to install and flexible.